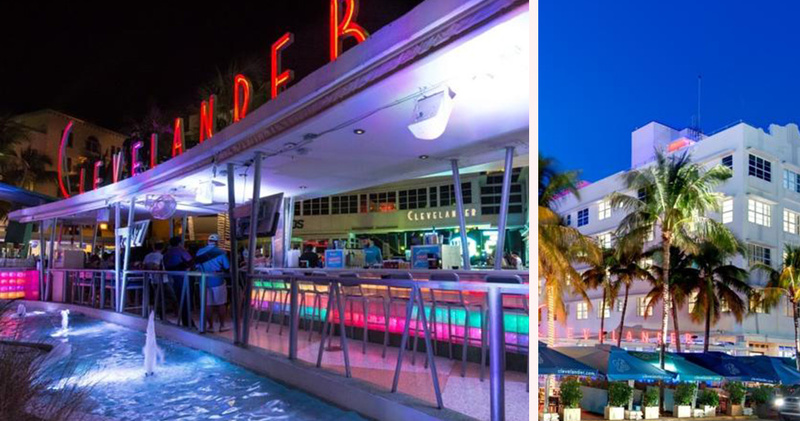 The iconic Clevelander Hotel is an adults only hotel located in the centre of Miami Beach. 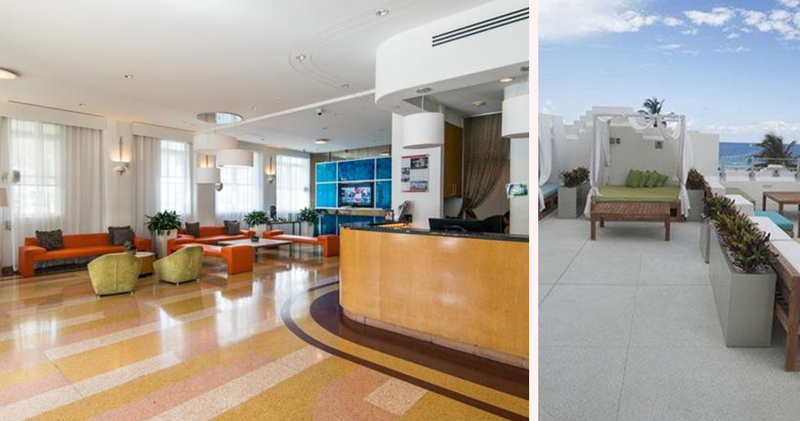 Built in 1938 by famed architect Albert Anis, the building stands tall and proud, a symbol of both luxury and fun. Upon entering the lobby, guests are greeted with a complimentary Clevelander frozen cocktail. Guests can relax in this fresh, contemporary space, bedecked with plush chairs in citrus hues. There is also entertainment every night, from go-go dancers to live DJs. 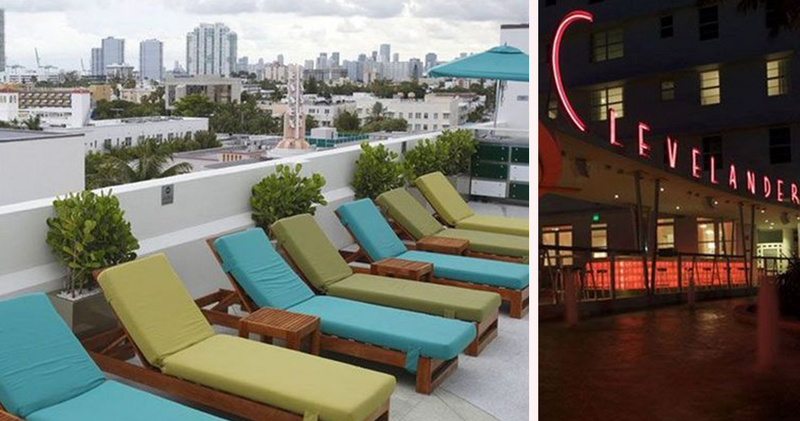 Featuring two rooftop party decks and an outdoor patio with regular live music, The Clevelander is a party-goers paradise. 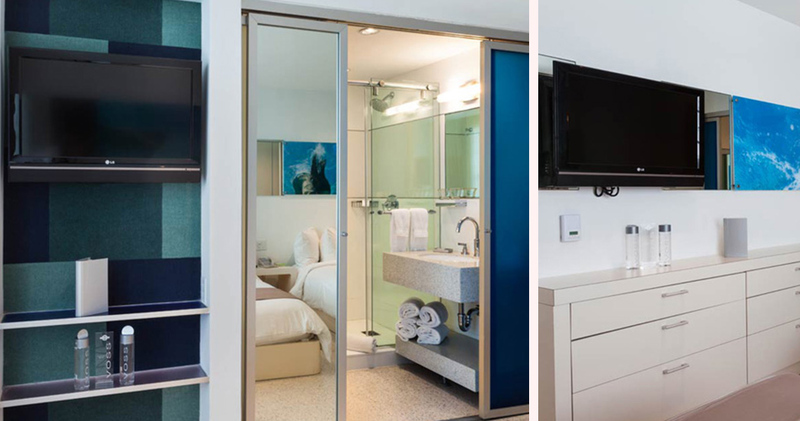 With over 60 rooms and suites, guests can choose from a range of accommodation options at The Clevelander. 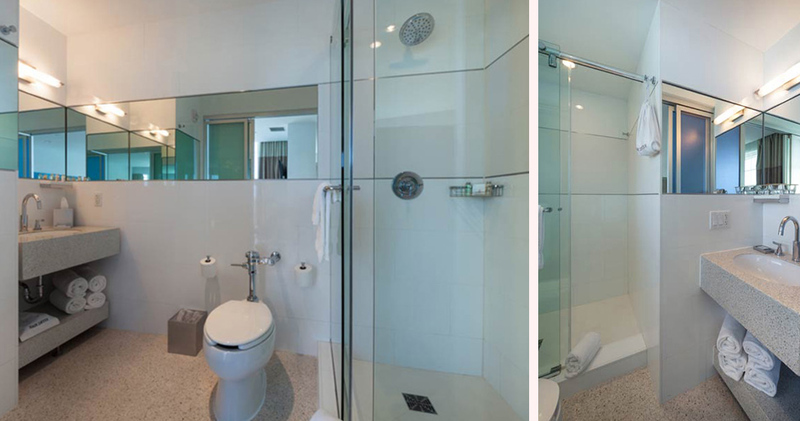 Options include a classic sea or city view room. 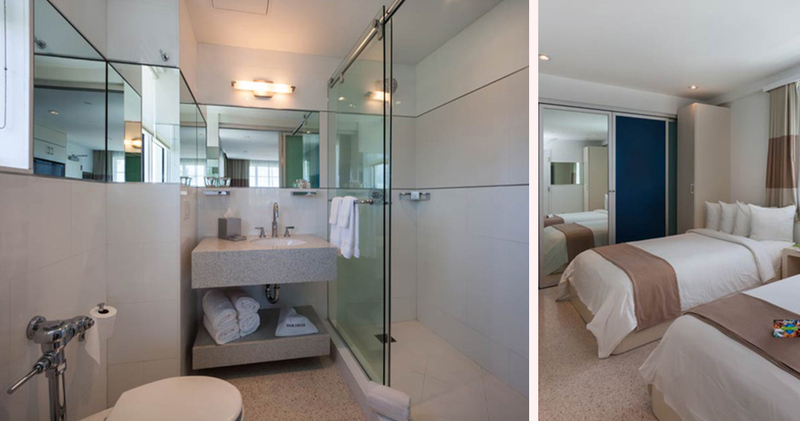 For those looking for the ultimate hotel experience, the famed Rock Star suite comes complete with direct elevator access. 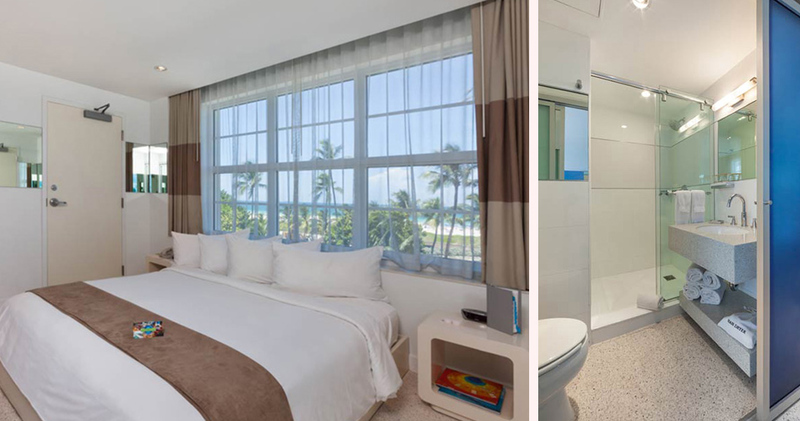 The rooms are decorated in calming whites with blue highlights, and the bathrooms feature rain showers and luxury bath amenities. 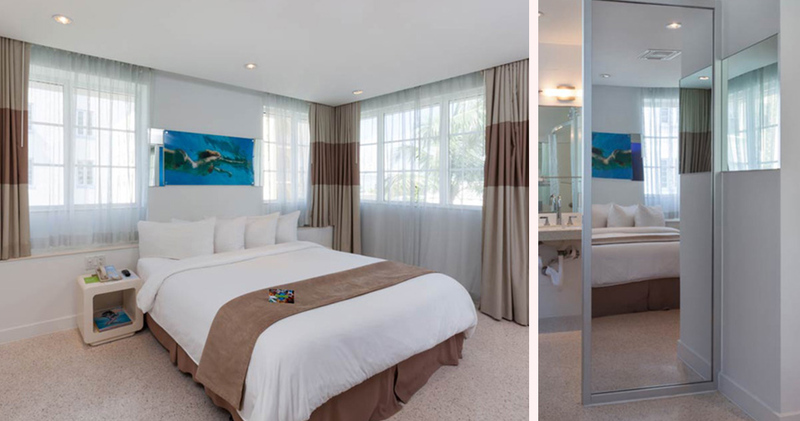 After a night out in the lively South Beach, 300-thread count bedding and blackout curtains are ready to welcome guests into a luxurious embrace. 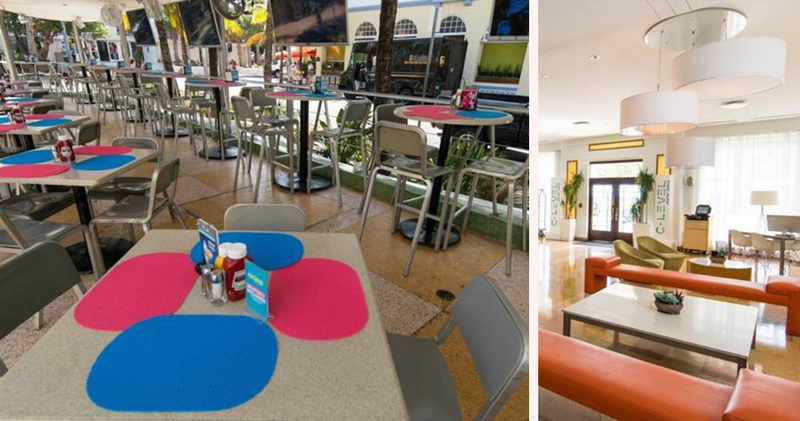 Guests at The Clevelander awaken feeling rejuvenated and refreshed. The Clevelander Hotel is home to DraftKings sports bar, where all the best sporting action is captured on the big screens. DraftKings serves frozen beverages and a selection of fresh food. Alternatively, C-Level Rooftop Terrace features an extensive food and drink menu that can be enjoyed under the sun.